Bridal Sketches personalised fashion portraiture of the bride. Dita Von Teese in her fabulous dress from that rather pointless marriage.. 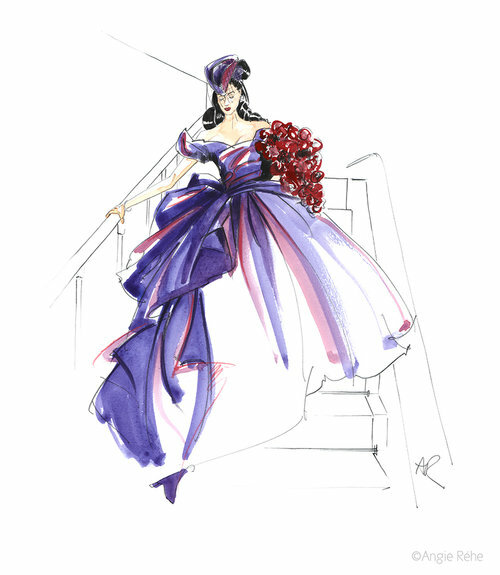 Fashion illustration-style bridal portraiture is the most beautiful style of portraiture. Why? Because fashion illustration idealises everything - featuring your best and eliminating your worst. 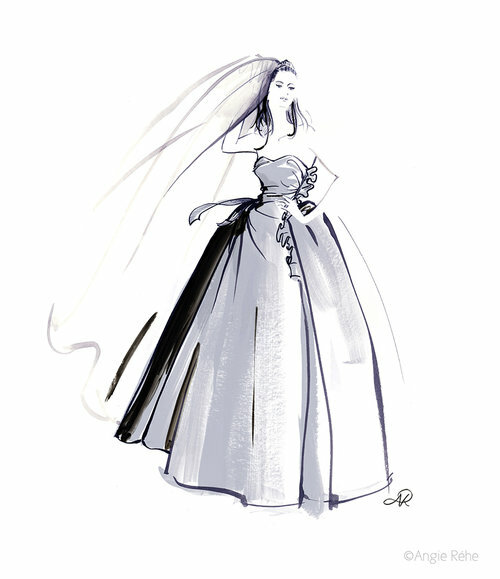 These illustrations are a beautiful fashion illustration but with a likeness to the bride. They are most often created after the wedding, from wedding photos. They are therefore given to the bride as a gift certificate on the day. Alternatively if good photos of the bride and dress can be given, I can put them together to create the artwork to give on the day. Artwork can be created for wedding stationery - invites, thank you cards, place cards. Artwork can also be chosen from existing archives, printing can be arranged.